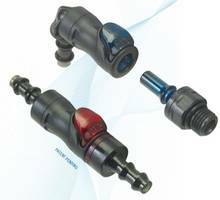 St. Paul, Minn. — CPC (Colder Products Company), the leader single-use connection technology, announces the increased pressure rating of its genderless AseptiQuik® G Connectors. 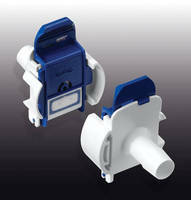 The connectors are rated to 60 psi for 30 days and for 75 psi for 48 hours. CPC experts will be available at INTERPHEX 2015 (Booth #3171) to discuss with event attendees how they can easily incorporate genderless AseptiQuik connection technology into their systems. Genderless AseptiQuik G Connectors maximize process flexibility and simplify modular system design. The robust and easy-to-use design of AseptiQuik G allows universal mating between any G series connector without the need for clamps or fixtures, resulting in simplified systems integration. AseptiQuik G Connectors deliver reliable, repeatable performance while minimizing operator error and streamlining supply chain efficiencies. "The flexibility and modularity provided by the genderless design has generated rapid user adoption of the AseptiQuik G series," said John Boehm, business unit manager, bioprocessing markets. "Without making any design or material changes we've been able to increase our pressure rating to meet the demands of higher pressure applications including pre-use or post-sterilization filter integrity testing." Offered in gamma and high-temperature versions, the AseptiQuik G series connectors provide a full range of interchangeable flow solutions including 1/4-inch hose barb, 3/8-inch hose barb, 1/2-inch hose barb, 3/4-inch hose barb and 3/4-inch sanitary. CPC's bioprocessing connections are manufactured in an ISO Class 7 certified cleanroom and meet USP Class VI material standards. 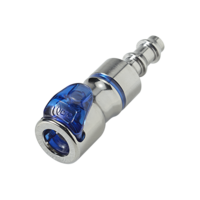 AseptiQuik G Connectors are a part of CPC's family of sterile connectors that include sterile connect and disconnect solutions. 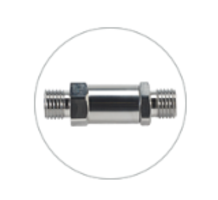 Available in a full range of 1/8- to 1-inch flow configurations, the connectors provide ease-of-use, robust construction and reliable performance for transferring valuable media for a wide range of applications including single-use bag and tubing assemblies, cell banking systems, bioreactors, mixers, sampling and filling. To learn more about how to benefit from the AseptiQuik G Connectors or other CPC single-use bioprocessing solutions, visit cpcworldwide.com/bio. For information on any of the other 10,000+ connection solutions CPC offers, please visit cpcworldwide.com. CPC, Colder Products, Colder Products Company and Dover are registered trademarks with the U.S. Patent Trademark office.